This year UGA School of Law's Edith House Lecture partners with Athensmade's Eyes on Athens Speaker Series to present an interview-style lecture with former U.S. Deputy Attorney General Sally Yates by representatives of the Women Law Students Association. Tune in to watch this event live from UGA's north campus at law.uga.edu/edith-house36 at 3:30pm. A recorded version of the lecture will be available in mid-April. The Eyes on Athens Speaker Series has been made possible by a generous donation from David & Sarah Sutherland. Need to update your professional headshots to show off the faces of your Athensmade business? 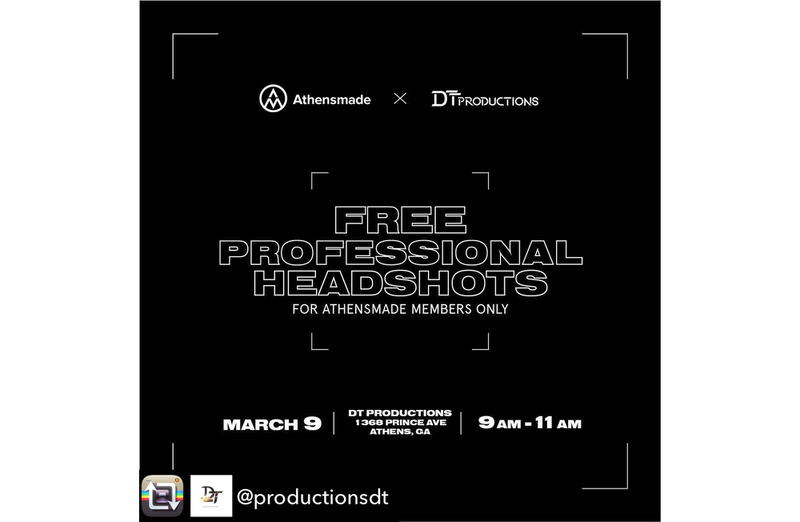 DT Productions and Athensmade are teaming up to offer FREE headshots to Athensmade Members on March 9th. Email MaryCharles@Athensmade.com for details on how to join. If you're already a member, click the reservation (Doodle poll) button below to reserve your headshot time. 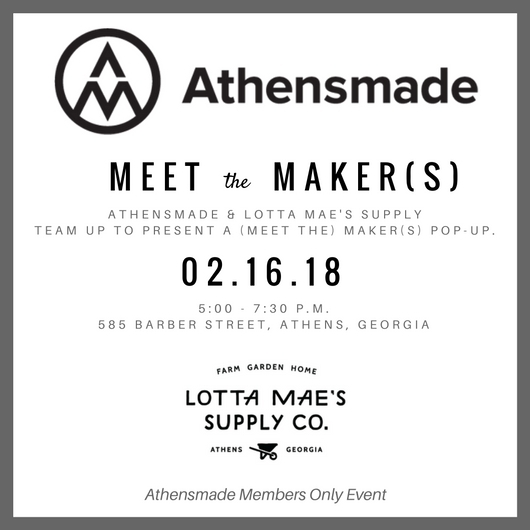 Join Athensmade for our second ever Meet the Maker event, this time at Lotta Mae's Supply. Food & drink will be available. This is a family-friendly, members only event. Athensmade members are welcome to bring non-member friends & family. Thursday, Jan. 25, 9:00 - 10:00 a.m.
Monday, Feb. 5, 4:00 - 5:00 p.m.
Lots of businesses say they want interns, but what does it take to run a successful and productive internship that grows both your business and the intern? Recipe for Press founder, Amy Flurry, has run a successful internship program in Athens, Georgia for two decades and will share key elements of a successful internship including when and where to find interns, how to interview potential interns, how to organize a structure and establish attainable goals and how to schedule time together so that you maximize time together. Amy will be joined by her internship coordinator to answer questions. Tickets $50/person or $40 for Athensmade members. Join Athensmade as we kick off our Meet the Maker Studio Tours at Kindercore Vinyl. We are all so excited to have Kindercore's dream come true in Athens. Come hear their story and tour the production floor. 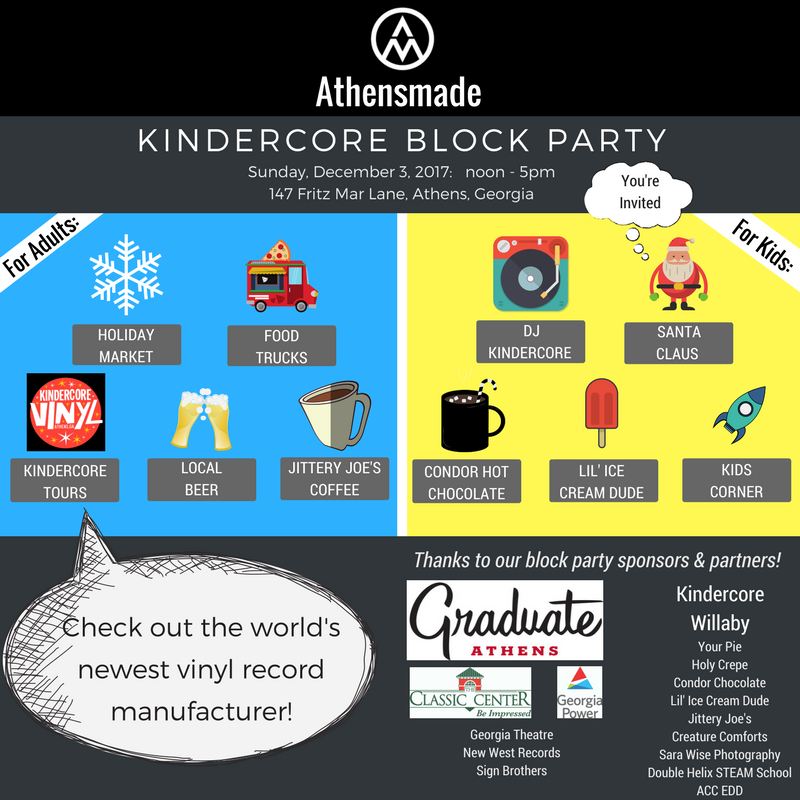 Kindercore swag will be available at this good ol' fashioned neighborhood block party complete with food trucks, music and tours of Kindercore's vinyl manufacturing plant. This is a family-friendly event. 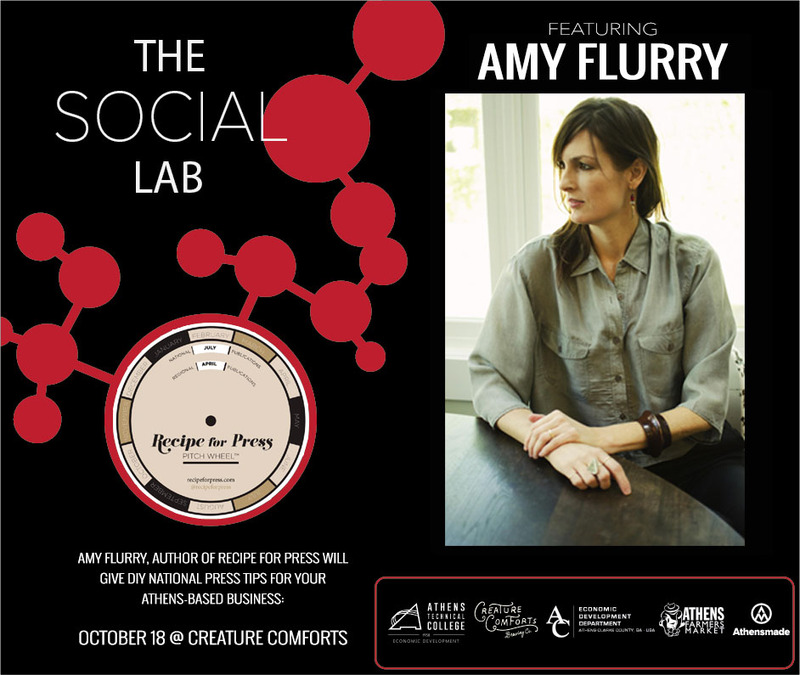 In the fifth and final installment of The Social Lab, Amy Flurry, founder of Recipe for Press will share tips for scoring national press, on your own. If you don’t already have Amy’s book Recipe for Press, you’ll be able to purchase up a copy during the Social Lab. Amy will speak on how to refine your message, engage media and create relationships with editors and bloggers, including powerful examples from across industries and around the country, plus her own art company. Amy co-founded Paper-Cut-Project, a company whose clients include Kate Spade, Christies, Hermès, Cartier, and the Victoria & Albert museum. Paper-Cut-Project’s work has been featured in the New York Times, Italian Vogue, Nylon and Marie Claire Taiwan. In the fourth installment of The Social Lab, Scott Duvall, owner of Jawavi Films will share his insight on new media. Scott has professionally produced podcasts, videos and served the Athens community as a digital consultant. He prides himself in being a Jack of all trades in the audio/video space and has helped create well over 300 audio episodes and videos. In his talk, Scott will share the differences on how people consume both video and audio, actionable tactics on story formats for both and he will share examples on the gear you might need to help you produce your own future shows. 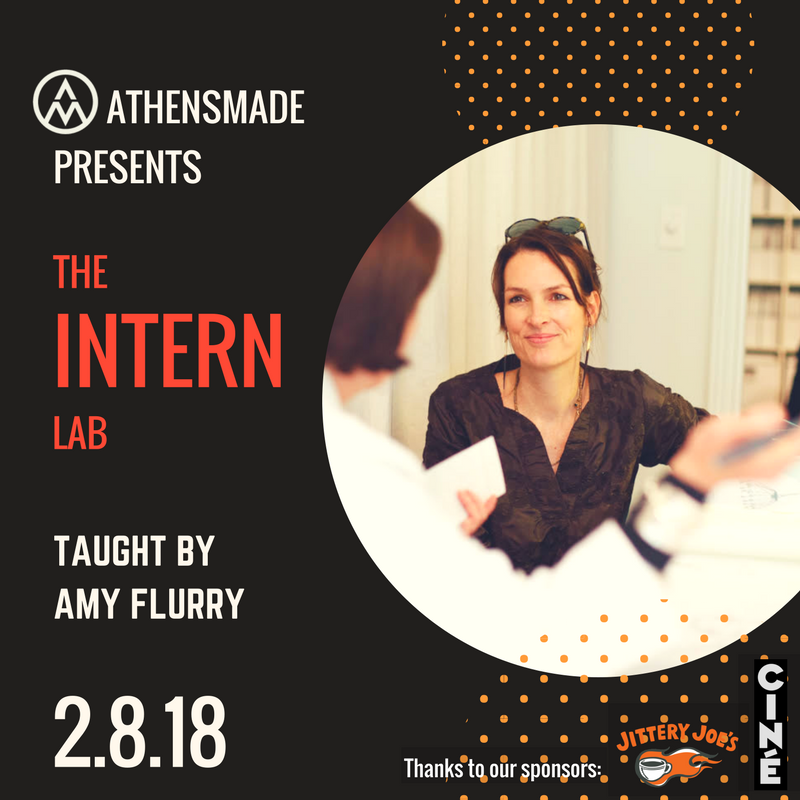 Athensmade, in partnership with Athens Tech, ACC Economic Development Department, Athens Farmer's Market & Creature Comforts is hosting this summer social media series called The Social Lab. In the third installment of The Social Lab, three leaders from Athens' local business community will speak about tactics they use to successfully amplify their brands and call our community to action using Facebook for Business. Athensmade, in partnership with Athens Tech, ACC Economic Development Department, Athens Farmer's Market & Creature Comforts is hosting a summer social media series called The Social Lab. Athensmade and the Athens Area Community Foundation (AACF) are teaming up to offer a Creative & Nonprofit Professional Networking Coffee on Tuesday, August 15th from 7:30-9 a.m. at Cine, 234 W Hancock Ave.
All Athens homegrown brands, creative professionals and nonprofit directors are invited to enjoy this unique networking opportunity. A Guide to Personal Branding. In the second installment of The Social Lab, Alice P. Stapleton, Director of Training in Economic Development at ATC and owner of a successful boutique marketing firm that caters to small, luxe labels that define communities, will show you how to develop and implement a personal branding strategy that will help to promote and grow the most important brand of all: You. On June 28th, Shayna Hobbs, Co-Founder and Creative Director of Sons of Sawdust, will lead off the Social Lab series, focusing on this family of wood-rescuers’ wildly successful use of Instagram. With over 131,000 followers, Sons of Sawdust has one of the largest followings of any small company in Athens, attracting the attention of their now sponsors Carhart, Ridgid Power Tools and more. Grab a seat as Shayna provides Instagram insight that can’t be found anywhere else. 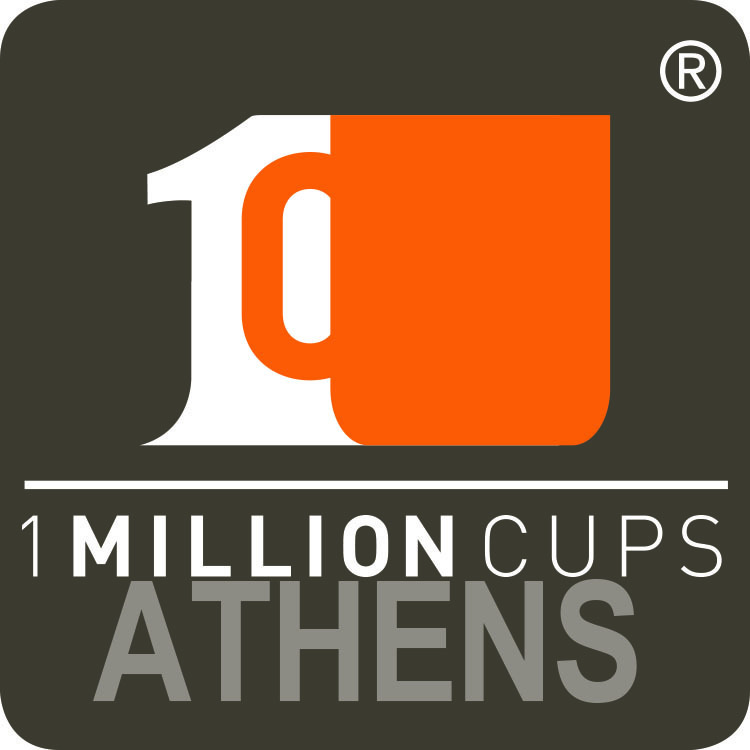 Athensmade and the Athens Area Community Foundation (AACF) are teaming up to offer a Creative & Nonprofit Professional Networking Coffee on Tuesday, June 13th from 7:30-9 a.m. On the second floor at Athens First downtown location: 150 W Hancock Ave.
Watch the Twilight Criterium with Athensmade! Local businesses will race each other on adult sized trikes during this Athensmade Trike Challenge, starting @ 4pm sharp. This is sure to be a very entertaining event. We'll have beer, wine, non-alcoholic beverages and Your Pie pizza available for purchase during the Trike Challenge. This is a kid-friendly event if you want to bring your family. An awards ceremony to recognize Athens' community award winners from 2016-2017. Never before has there been an event to recognize all Athens community award winner in one place, so this is it! 314 E Washington will be open to the public from 1-6pm on the 29th with food & drinks, so feel free to come early or stay after. In honor of Acropolis, Athens first annual innovation month, we have brought to you Pop-Up Athens! Located in the heart of downtown on Clayton St. we have curated a pop-up shop with various local Athens and Atlanta artisans and vendors selling their hand-made goodies! We also have vintage and thrifted tresures & clothing for dirt cheap as well as original canvas art, prints and sculptures made by UGA Lamar Dodd Students! More vendors being added daily!